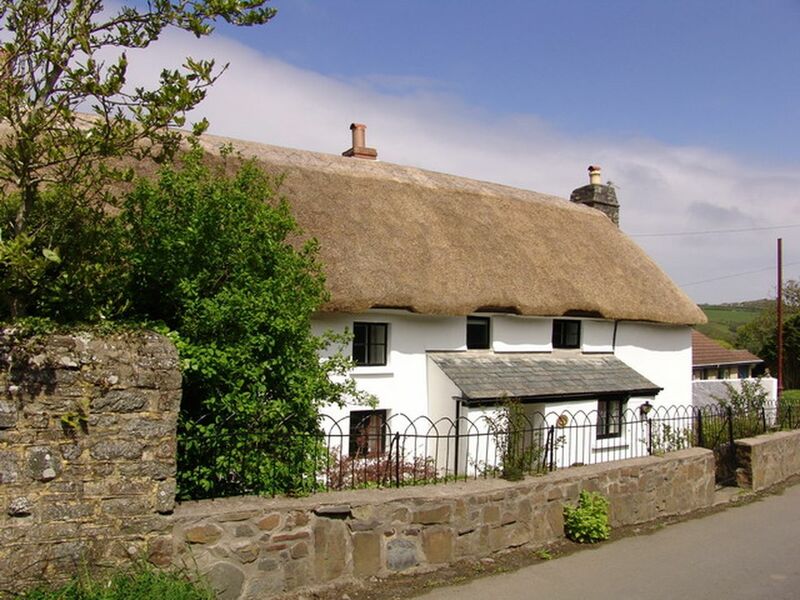 Yarde Farm is a beautiful 17th Century holiday cottage farmhouse in Mortehoe, set on the stunning North Devon coastline. 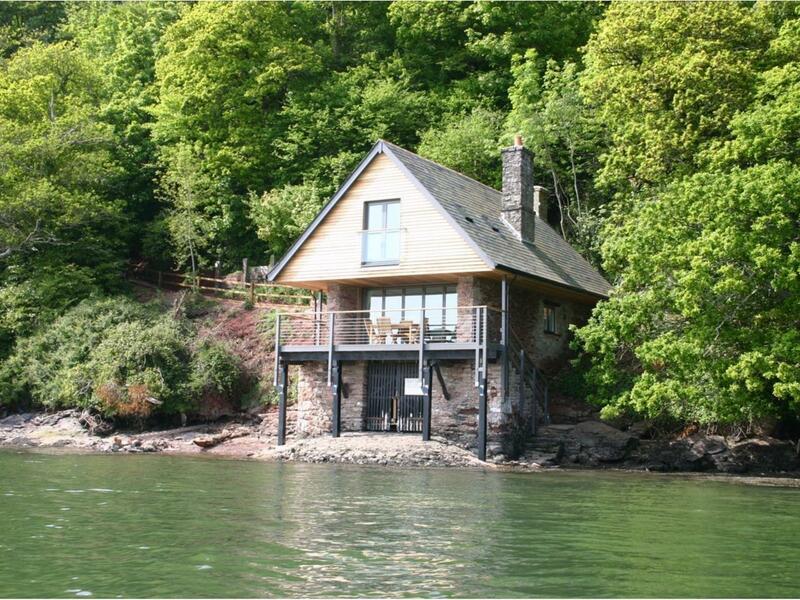 The cottage is available for holiday lets and is set in a designated Area of Outstanding Natural Beauty. Mentioned in the Domesday Book, the house was carefully renovated in 2008: the character and detail have been maintained, whilst adding 21st century comforts. Yarde which sleeps up to six people, is set in a picturesque valley in the countryside just outside Mortehoe. It offers space, peace and tranquility with wonderful views, whilst being only five minutes away from Woolacombe with its beautiful blue flag beach and amenities. Four bedrooms,a unique turret staircase; deep window sills; a walled courtyard garden perfect for barbeques; oak and slate flagged floors; two open fireplaces; wetroom; open fireplaces, ample parking; travel cot and highchair; imposing porch with an arched doorway and original oak beams. 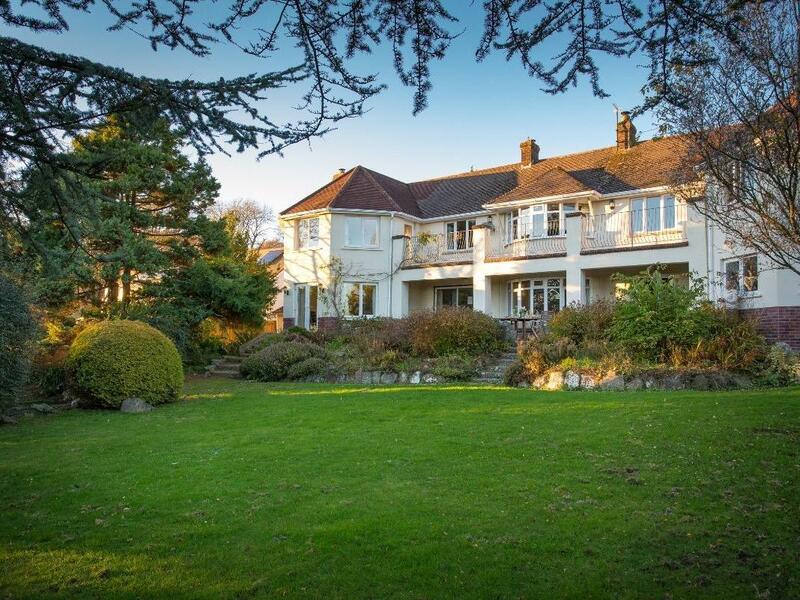 Excellent property - would highly recommend to anyone. Very clean and tidy, friendly welcome, spacious interior, plenty of parking and 2 private garden areas. Excellent walks from the doorstep and plenty to do in the surrounding area. Make up of party: Property sleeps up to 6 I believe but we were lucky enough to have the whole place for just the 2 of us - ideal for families though. The owners of Yarde Farm, Kate and Roger, are very welcoming, friendly and helpful - treating us to a seriously tasty cake on our arrival! Yarde and it's facilities are all that a family needs for an excellent holiday. All rooms are very well appointed and the layout is such that there is plenty of space for various activities without getting in each other's way. Satellite views from typical mapping apps show a camp site close by. However the landscape is such that Yarde is in it's own little valley, so when at Yarde the camp site is not apparent and the stay is most enjoyable and peaceful. In particular, the three courtyard gardens associated with the main farmhouse and the adjoining Long Linhay cottage are completely private and two of them are also fully enclosed - really useful if having responsibility for babies or small children. The geographic location is also brilliant. On the one hand, if you like walking, there are superb paths and views with direct access from Yarde Farm. Equally, if you decide on a trip to some distance away, then there is easy access to main roads. We had a hybrid holiday, in which some of our day guests (by arrangement with Kate and Roger) were members of our family who are keen campers and they pitched tent at one of the camp sites nearby. This scheme worked very well. The village of Mortehoe is an easy walk from Yarde and we found a strong sense of local community with very friendly and helpful local people. Highly recommended!. Make up of party: Grandparents, daughter her husband and their daughter in the main farm house, plus a niece and her family staying in the adjoining Long Linhay cottage (all part of Yarde Farm). This was our second visit to Yarde Farm, although last year we actually stayed in the adjoining property, The Long Linhay. The old farmhouse(which is mentioned in the Doomsday Book), where we stayed this time, is a revelation and a delight. From the beautifully appointed kitchen, the superking bed in the master bedroom and the huge lounge and dining room, both with open fires, through to the superbly decorated and fitted bathroom. Kate and Roger, the owners, could not be more welcoming, nothing is too much trouble for them, and even provide a lovely Cream Tea on your arrival. A most comfortable and relaxing stay. We will be back as soon as we possibly can. 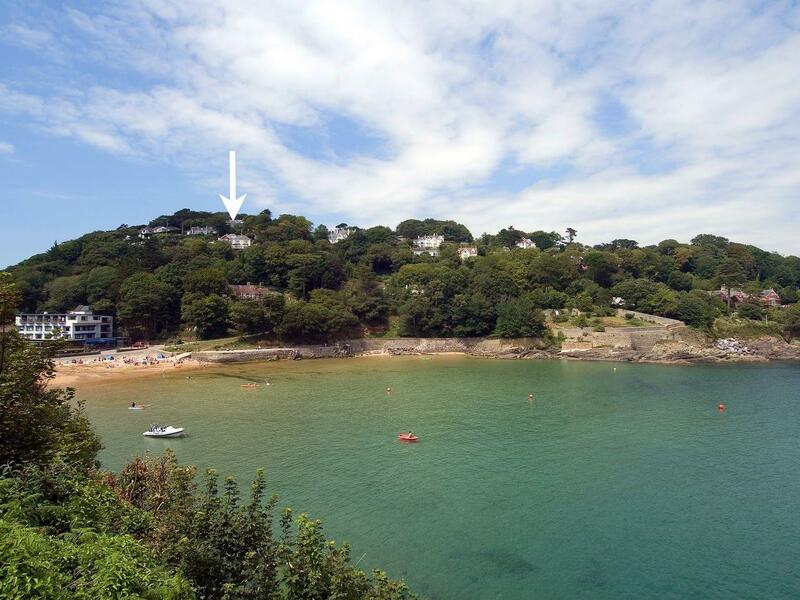 A superb property in a wonderful location. 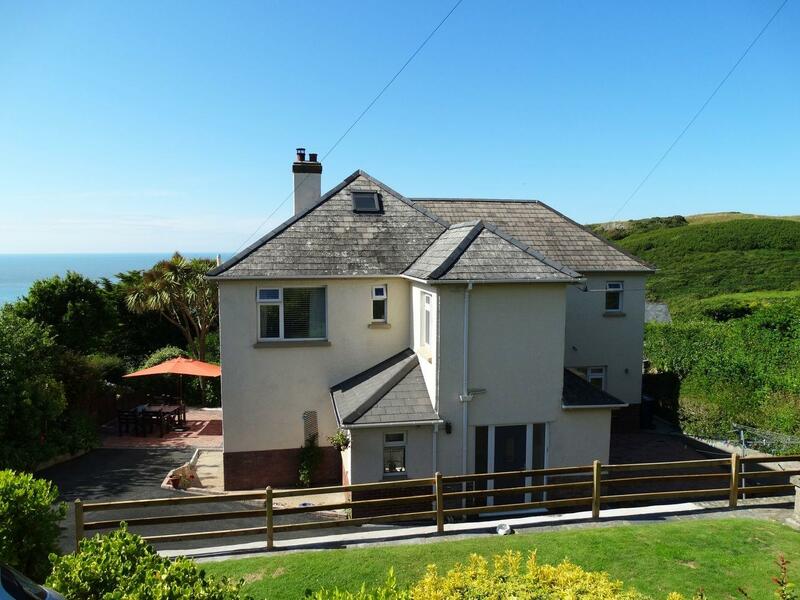 Ideal for a family holiday close to Woolacombe beach,the charming village of Morthoe and stunning coastal scenery. Yarde Farm is a credit to Kate and Roger who have restored the property to such a high standard of comfort and rural charm.Enjoyed the stay so much that we have booked for 2013. Yarde Farm is in a spectacular location, the views are a sight to behold the minute you turn off of the main road and on to the driveway down to the Farm. The refurbishment of the farmhouse has been carried out to a very high standard with every modern convenience a family could need whilst still retaining a wealth of original features. It was spotlessly clean and very welcoming. During our stay there was nothing we wished for that hadn't already been provided by Kate and Roger. Although there were only three of us the house would work perfectly for several generations of a family and even when full there would still be plenty of space. If you want R & R as we did it's perfect, if you want a more active holiday it's perfect for that too. I hope we'll be able to visit again in the not too distant future.Well done Kate and Roger, you've done a brilliant job. Make up of party: Couple plus elderly mother. The property was very spacious and much larger than we had expected. The rooms were all lovely and clean and spacious. Everywhere was clean and the owners have thought of everything (even down to the outside lights coming on up the steps if you arrive home or leave in the dark) and stairgate outside the single bedrooms. We would def recommend it. We thought it good value for money for a Sept break. 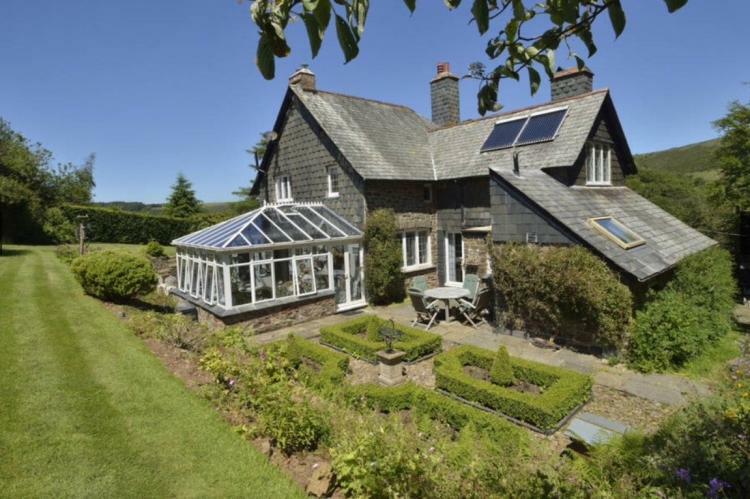 A wonderfully secluded and charming house & garden with plenty of space for a family whilst also being very homely. Close to Mortehoe village yet tucked away with lovely sea and country views. Kate & Roger have done a great job with Yarde Farm and offer a very warm welcome! Make up of party: Family of four; 2 adults and 2 children (6 & 3). Yarde Farm is a lovely place to stay. It is well laid out and has everything required for a successful family holiday. We had a great time, even on the couple of days when the weather was not so good. Kate and Roger have thought of everything so there is plenty to keep children - and adults - of all ages amused. The location was great too. We could walk to Woolacombe beach if we wanted to and there are many other lovely walks in the vicinity. We will definitely stay there again. Make up of party: Family with three very young children. This is a truly wonderful holiday location - the house is superb and Kate & Roger made every effort to ensure the stay was enjoyable. I cannot recommend the location highly enough for a superb relaxing break. Yarde Farm is lovely with lots of character. There is plenty of room with comfortable furnishings. The setting is beautiful with lots of walks from the cottage. The gardens are an added bonus, especially with children. Kate and Roger are superb hosts who will always "go that extra mile". Make up of party: Two families. One with a teenage daughter and one with a toddler and a baby. We were the first people to stay in the Long Linhay after its completion - what a privilege! 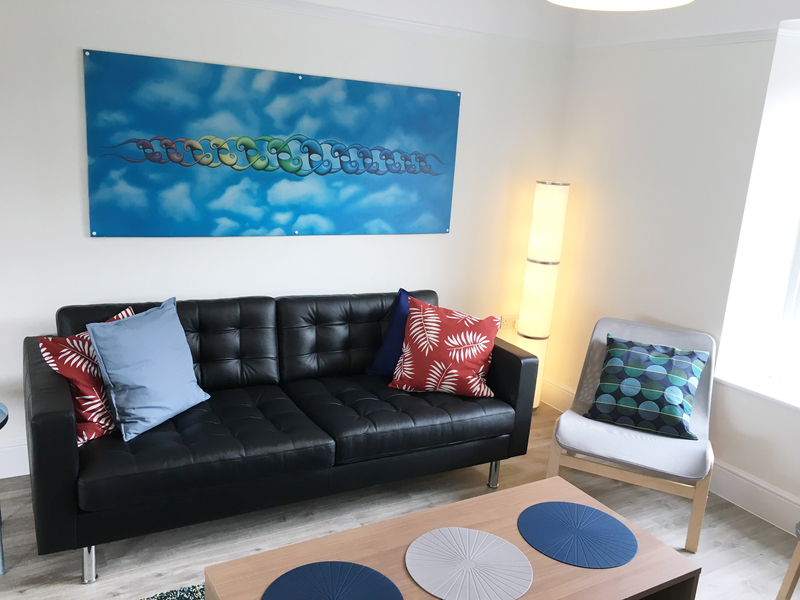 Excellently and thoughtfully equipped, tastefully decorated and comfortably furnished, this cosy holiday let even has a large private garden. 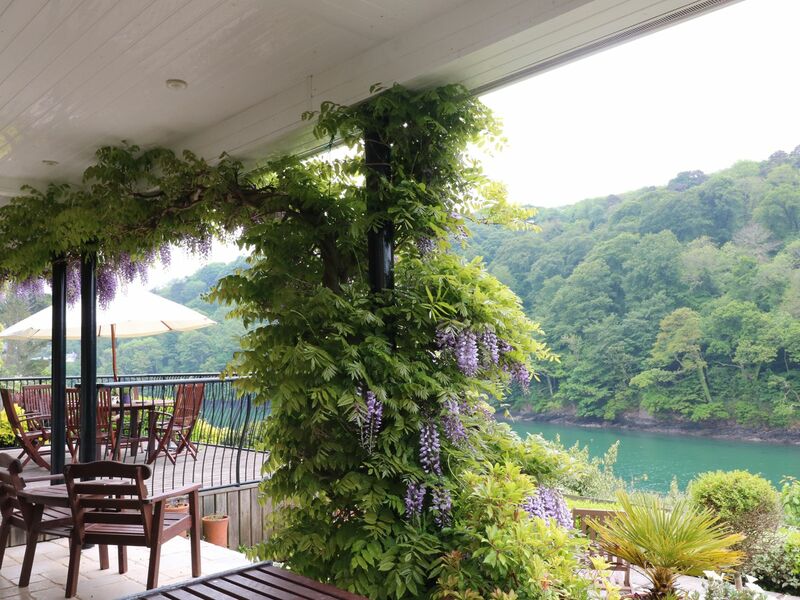 With stunning views and peace and quiet, this is an ideal getaway for two. Yarde farm cottage is without doubt exceptional in every way. Tastefully restored to a very high standard with original features preserved, squeaky clean and spacious. The owners have provided every facility you could wish for. Cosy log fires in the evenings .... what a find...it is idyllic. 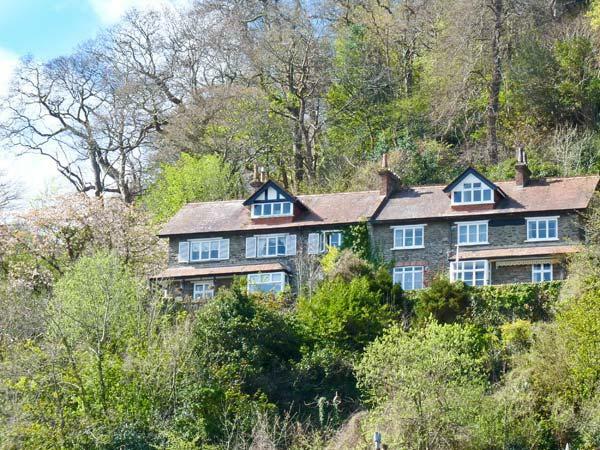 Within walking distance to Mortehoe Village and surrounded by spectacular countryside and sea views what more could you want. The local beaches are beautiful - there really is no need to leave the area if a relaxing holiday is what you are looking for. We highly recommend Yarde and will be going back for sure. Kate & Roger made us all feel so welcome and the homemade cake was delish. Make up of party: We are a three generation family and the accommodation provided space for us all. Both gardens are private and safe for children of all ages to have fun and of course to have BBQ,s under the stars. We have bought back some wonderful memories - I'm sure you will too. Without doubt the best cottage we have stayed in, we are a 3 generation family and the cottage suited us perfectly, the facilities are superb the welcome fron the owners warm and friendly. Yarde farm is wonderfully situated with walks from the door and safe gardens for young ones to play in, in fact you could not ask for a better more luxurious base for a holiday in this lovely area, we hope to visit again. We've stayed in a number of cottages over the years and this is beyond a doubt the best we've stayed in. Plenty of space, excellent facilities, great hosts and a good location. The children loved running/crawling/hiding around the cottage too. This is, without a shadow of a doubt, the best base for a family holiday we have yet come across! The accomadation is spacious and tastefully modernised and is as exactly as advertised (it's gorgeous!). It was such a pleasant surprise to start the holiday without having to give the place a once over, it was squeaky clean, a real pleasure to find. There are so many walks available right from the back door that our 7, 5 and 3 year old were able to manage without difficulty. The village of Mortehoe is a shortish walk away with several pubs and a village shop that is quite amazing (it has everything!). A short drive away takes you to Woolacombe (with its amazing beach) or in the other direction Ilfracombe with rockier attractions. Even Exmoor isn't that far a drive really, as said above, a superb base. When it rained we didn't feel cramped at all pottering around the house (there are loads of nooks and crannies for hide and seek lol!). Kate and Roger were the perfect hosts with amazing attention to detail and making you feel truly welcome. We just can't recommend this place highly enough, you'll have a fantastic holiday here. Make up of party: Family group, three children (7,5 & 3). Make up of party: Family with teenagers. Surfed all day, laughed all evening, and slept all night, really really well. .
Really beautiful cottage in a great location for walking and surfing. Wonderful hosts who were very welcoming and helpful. Hope to return soon! Yarde Farm is one of the most beautiful cottages we have ever stayed in. Firstly location - perfect for those who want to escape from the world but close enough to the local village and towns to keep in touch with civilisation. There are lots of places to visit within close proximity of the cottage. The cottage itself is very tastefully decorated, spacious and extremely clean. It was fully equipped - even for those with young children like myself. The farm has a beautiful safe garden again fully equipped for BBQs, sunbathing etc. The owners of the cottage were extremely lovely people and the perfect hosts. We very much enjoyed the cake on our arrival. We really hope to return to Yarde Farm in the future and couldn't recommend it enough to others. Our stay at Yarde Farm was everything we could have hoped for. Kate and Roger have made a wonderful place for a relaxing and peaceful holiday. The house has everything you could need. Open fires, comfortable surroundings,lovely kitchen/diner and all mod cons. There are great coastal walks with amazing views. We were made to feel very welcome and look forward to returning one day! Make up of party: Two couples. This was our second visit to Yarde. We stayed for Christmas and had a magical time! Kate and Roger had gone to so much trouble to ensure that our stay was perfect. The cottage was beautifully decorated for Christmas which only added to the charming and relaxed atmosphere of Yarde. We particularly like the open fires, the large farmhouse kitchen and the space and comfort the cottage offers; especially with 3 teenagers in the family! We are very much looking forward to our next visit to Yarde; Winter time or Summer Yarde is a very special place. Make up of party: Family of 6 including grandmother and 3 teenagers. 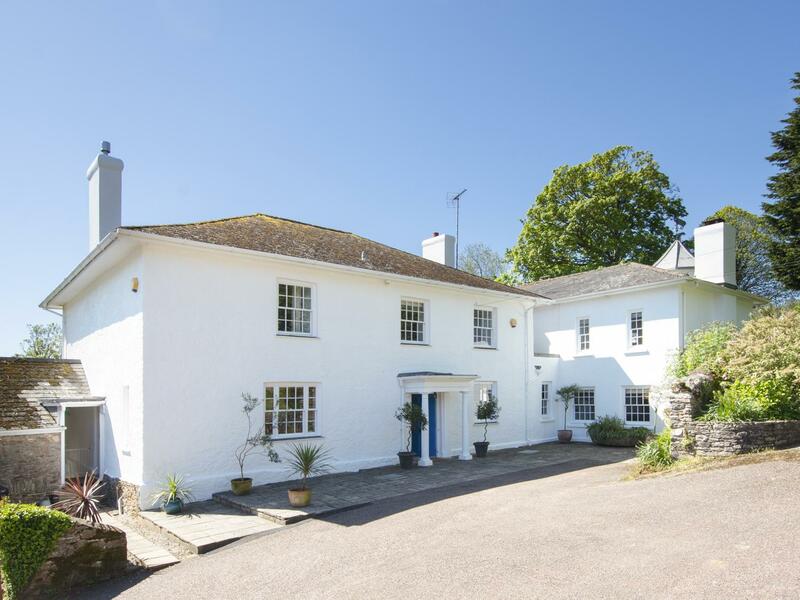 Yarde Farm is a beautiful old farmhouse, renovated by the owners in 2008. It really is in a stunning location, in a countryside valley. There are four bedrooms and the house sleeps six people. It was extremely clean and welcoming and the house was full of character and had lots of interesting features. As we have a family we especially appreciated having our own outside space where the children could play. We enjoyed our stay so much that we have booked again for next year. Make up of party: Family.